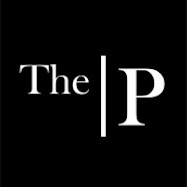 The Primitique: How hot is it in Poetry, Texas? 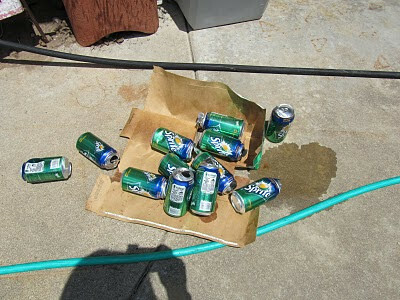 It's so hot that if you leave a 12 pack of Sprite in your car with the windows up from Friday to Monday, 11 out of 12 cans will explode. 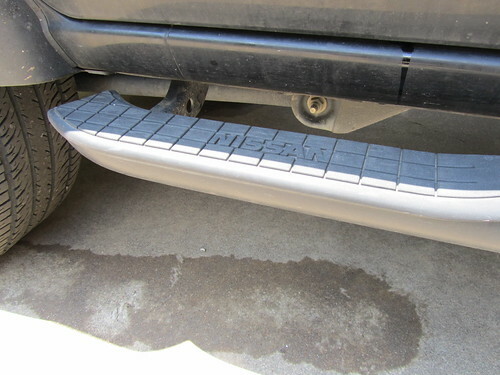 While I wait for the beams to come up at The Primitique, I think I'll scrub down the suv. Look! It even poured itself out the doors! Talk about a sticky mess. I've got it! I accidentally left a scented candle in a jar (gift) in mine and well, you know. Wow! Talk about Pop Tops!!! OOOHHH! Thought of something else to say....What a way to blow your top! Badumdump! I'm very sorry, honey! I know that's not how you wanted to spend your morning! I have done that--in the freezing cold--not quite so messy when it is frozen though. I haven't heard of them exploding because of heat--bummer! Oh no! That's no way to start the day!! It will take weeks or money and professional help to clean this all up. Wet paper towels and palmolive barely put a dent in the arm rest and the driver's side door. The 12 pack was on the back left seat. that sounds like an exceptionally fun day! Yuck! I've never had a can of soda explode in the heat. I guess I shouldn't be complaining about how hot it's been here. Sorry you had a mess to clean up. Vinegar? That's what I've always been told to use to clean up soda. sticky situation mindy - real sticky. That happened to me this week with a Diet Coke. It's on the roof, the windows, and the back of the wagon. Ugh.